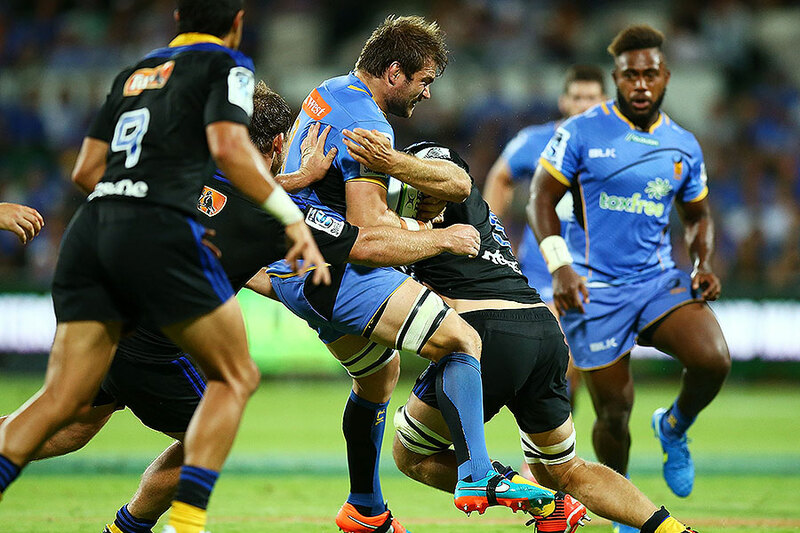 Stand-in Western Force skipper Sam Wykes will depart Perth for Japanese rugby at the end of the season in a move that will likely be followed by Wallabies No.8 Ben McCalman. There is some good news for the Force however with fullback Dane Haylett-Petty re-signing through to the end of 2017. Haylett-Petty is a west Australian product who impressed for Perth Spirit in the inaugural National Rugby Championship last season after re-joining the Force at the start of 2014 following stints in Japan and Europe. But the loss of Wykes and, in all probability, McCalman, will hurt the Perth-based franchise who are without a win since their shock opening-round victory over NSW Waratahs. Both men are consistently among the side's top performers and coach Michael Foley will find it hard to replace a forward duo he has come to rely on. "Sam is a player that has grown considerably over the past three seasons," Foley said. "His commitment to the team as a player and leader have earnt him respect across the entire organisation. Sam, like Hodgo (Matt Hodgson) & Pek (Cowan), have shown great loyalty to the team, the club and our supporters, often in difficult times and while we're disappointed to see him head overseas, we're all looking forward to ripping in with him over the next nine games." "I'm really excited to be hanging around for another two years," he said. "Obviously this is home for me and I love being in Perth with my family and friends, and love pulling on the Force jersey with a great group of boys here. The club's definitely heading in the right direction. We've got a great team at the moment, we've got excellent coaches and the support staff are fantastic, I feel like my game's really developing and it's just a really exciting time to be with the club and I'm really looking forward to the next couple of years. "The start to the season was always going to be a big challenge for us, but we still feel like there has been improvement in how we've been performing. The boys are really excited to be able to play six of our next eight matches at home and build through to the end of the season in front of our amazing Force supporters."